Anointing of the Sick is administered to bring spiritual and physical strength for anyone suffering from mental, spiritual or physical illness, for those preparing for surgery, and for those who are terminally ill (Last Rites). 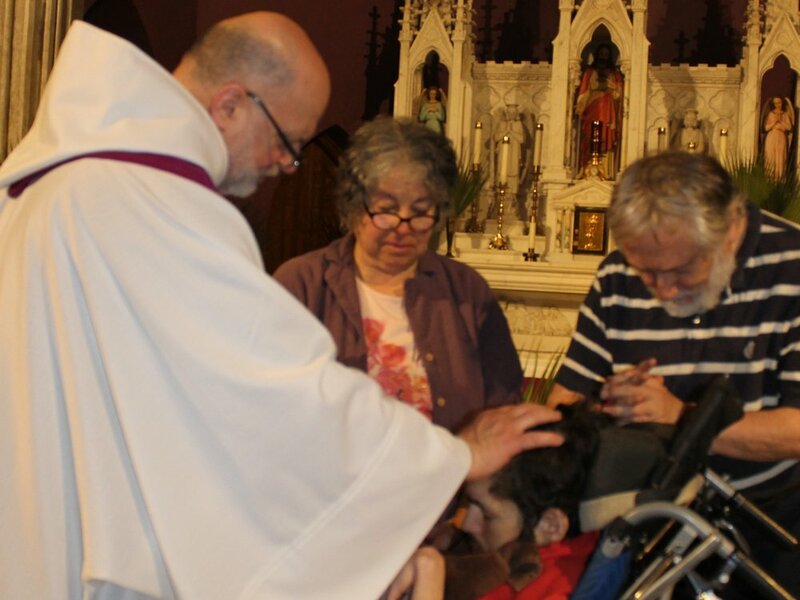 Anointing of the Sick provides the recipients with a number of graces, including a union with the Passion of Christ, which makes their suffering holy; and, in the case of terminal illness, the grace to prepare for death, so that they may meet God in hope rather than in fear. Please contact the Parish Office if you or anyone you know would like to receive this sacrament.